The Tele-View USB Video Gastroscope for small animals makes endoscopy ‘simple and easy.’ These endoscopes are ‘plug and play’ and work with Windows computers, laptops and tablets as well as Android devices! Simply install the software and attach the scope’s USB plug to the computer or tablet and you are ‘ready to go!’. 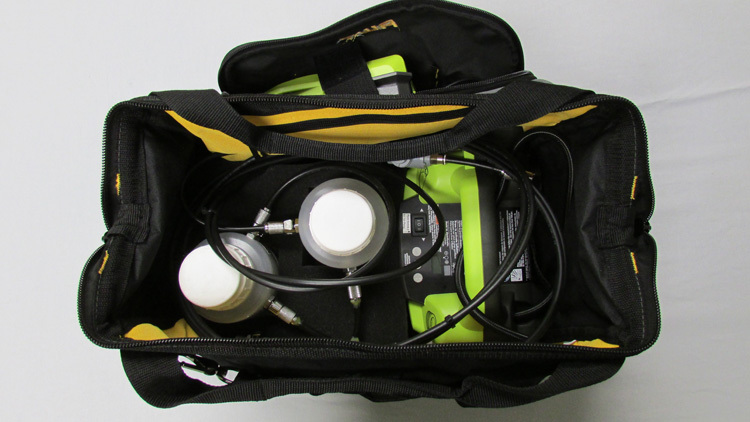 You don’t need all the bulky traditional equipment found in legacy endoscope systems. Also, you don’t need a separate room or area to do endoscopy as it can now be done in your existing surgical/treatment area. These endoscopes are great for the general veterinary practice as you don’t have to send your patients to the specialists. Keep the patient and treatment in your practice! These endoscopes utilizes a high resolution sensor and super bright LED lights that give excellent clarity and illumination. As mentioned above, you don’t need a Processor or Video Processor to run these scopes. Also, these scopes are very robust and durable with no fibers to break! The scope only weighs 2 lbs (1 kilo) and can be easily moved from one area to another. It is perfect for clinics that don’t have the extra space for a large rack mounted system or for multiple-location clinics. There is an optional air-water pump for automatic insufflation and irrigation. However, if you prefer to do this manually, we include a Biopsy Channel connector that lets you irrigate and insufflate manually. The software is included at no charge and the high resolution images and video are automatically saved to the computer’s hard drive. From there, they can be attached to the patient record or sent to the client by e-mail, Dropbox or Google Drive. TV-570: 1.0m x 8.7mm diameter: Excellent for cats to large dogs. TV-573: 1.5m x 8.7mm Diameter: Excellent for cats to very large dogs. For Equine use, click here to see Equine Models and Sizes. 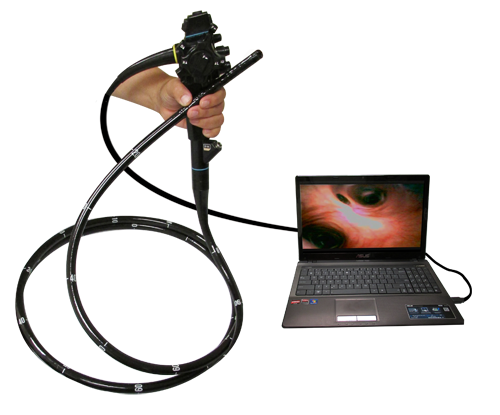 Now you can quickly and easily offer endoscopic procedures for your clients!